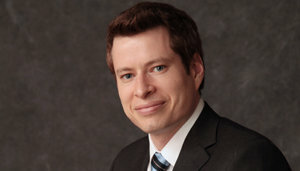 John D. Polivick is a partner at Rakoczy Molino Mazzochi Siwik LLP. He is registered to practice before the United States Patent and Trademark Office and holds a Bachelor of Science in Biochemistry. Mr. Polivick’s practice focusses on pharmaceutical patent litigation. He has extensive experience in all areas of patent litigation, including pre-suit strategy development, fact and expert discovery, briefing and arguing motions, and trial practice. He has participated in litigation involving drugs such as Lovaza® (omega-3-acid ethyl esters), Hectoral® (doxercalciferol), Glumetza (metformin), Alimta® (pemetrexed), Nasonex® (mometasone furoate), Zymaxid® (gatifloxacin), Lumigan (bimatoprost), Treanda (bendamustine), Apriso® (mesalamine). Mr. Polivick also has extensive experience preparing and prosecuting patent and trademark applications. Additionally, he is involved in the firm’s patent counseling work. Prior to joining Rakoczy Molino Mazzochi Siwik LLP, Mr. Polivick was an associate at Husch Blackwell. Prior to attending law school, Mr. Polivick worked as a Molecular Biologist at Pharmacia, Inc., where, among other things, he conducted laboratory research regarding COX-2 inhibitors. He also worked as a Chemist at Mallinckrodt, Inc., where he conducted laboratory research regarding peptide synthesis and purification.